Available at Smashwords, and most major online retailers! Gifted with the ability to shift into a wolf, mermaid Princess Sapphire Minala yearns for the day she's granted permission to leave her underwater asylum. When that day finally arrives, Sapphire ventures out with two tasks she is determined to complete. One - learn to control her Magik powers. 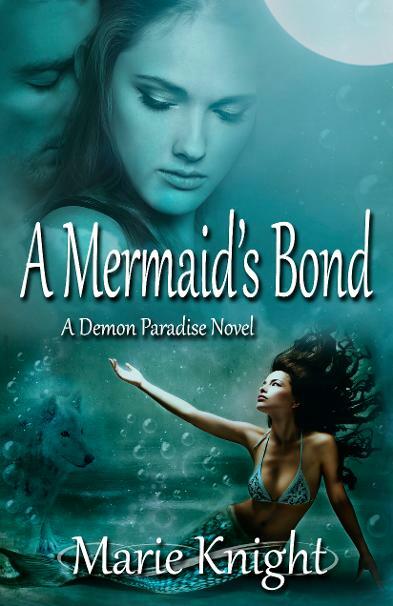 Two - find the man who haunts her dreams through her Mermaid Bond, which turns out to be easier than she originally expected. Except Rye Adoms wants absolutely nothing to do with her beyond her training as a royal guard. While attempting to keep her secrets from being discovered and gaining Rye Adoms affection, Sapphire finds herself kidnapped by the one thing she fears most, Traders. Secrets and relationships are exposed when Sapphire is taken deep within the Alijah Mountains to the forbidden realm of the dragons and thrown headfirst into a war that has been forming for over seventeen years.